The idea of travelling with your partner across Australia in your retirement sounds like a great plan. Choosing a route preferred by older Australians, affectionately known as grey nomads offers new travellers a wonderful opportunity to develop a network along the road and meet new people. While buying a new caravan or an affordable second hand caravan has its own benefits, choosing to rent a caravan makes for a smart decision too. Here are a few important things to know before making the decision to rent a caravan for your retirement travel. Do you prefer to drive a manual or automatic? If you’re used to driving an automatic transmission vehicle, choosing a caravan with manual transmission can be a little taxing. Since most people these days travel in an automatic car, campervans with automatic transmission are much more in demand. It is advisable to book them in advance to ensure you get your preferred dates. Get a head start before you even hit the roads! Check availability and book in advance at least 2 months before peak summer months – December, January and February. Also, booking in advance and hiring a caravan for a week or longer, you will find you get better rates and inclusions from most companies. 3. How many does it sleep? 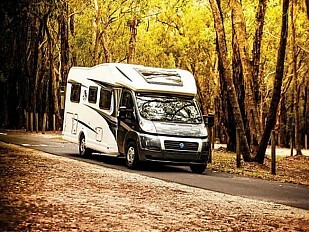 Usually, two-berth vehicles are ideal for retiree couples heading off on an adventure across Australia. Before you decide on just hiring enough for 2, don’t forget that you may have family join you on one or more of the legs of your journey. If you have kids coming along for the ride, or friends meeting you a new town, you may opt for something a little bigger to cater for those card nights and extra sleepover guests. All caravan hire companies require you to pay a refundable security deposit anywhere from $2,700.00 to $7,500.00, depending on the model. This bond allows the company to get any repairs done to a van that may be damaged on the road. This security deposit is usually paid by credit card and the funds are blocked on your account (meaning they place a hold on that amount), then the hold is removed once the vehicle is returned in good order. You will need to ensure you have a sufficient balance on the card and be aware of the daily usage limit to factor in the security bond. Caravan Hire companies offer additional travel insurance to reduce the bond amount; alternatively, you will have to pay the entire security deposit from your credit card. Moreover, this credit card transaction entails a non- refundable surcharge by way of an ‘Admin fee’ charged in addition to the fee charged by the bank. It usually falls in the range of 1.80% for Amex cards and 2.70% fee for visa and master card. 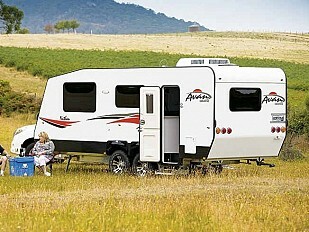 A valid driver’s license is mandatory to hire a caravan. In some cases, caravan hire companies charge $5 for additional drivers and international or foreign license holders. In most cases, you are responsible to pay for the road toll yourself. Some campervan hires companies to have motorhomes that come fitted with tags which allow you to add it on. In that case, you will be charged at the end of your hire. Renting a caravan for your retirement travel and finding out exactly what you need is a great first step to knowing which new caravan will suit your needs. We have a great range of new caravans and second hand caravans for sale also if you decide that’s what you’re after. Have more questions you need answers to? 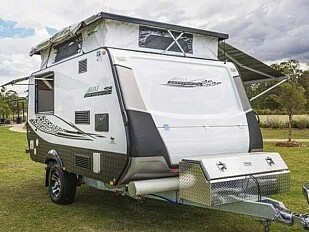 Avan NSW is the preferred one-stop destination caravan dealers in NSW to buy caravans by grey nomads for their retirement travel. If you’re looking to buy new caravans give us a call. Looking for a more affordable option and prefer to buy used caravans from leading Australian caravan manufacturers, we’ve got you covered. Call 02 4721 2222 or visit https://www.avannsw.com.au/ now.